Don't miss this night of excitement! 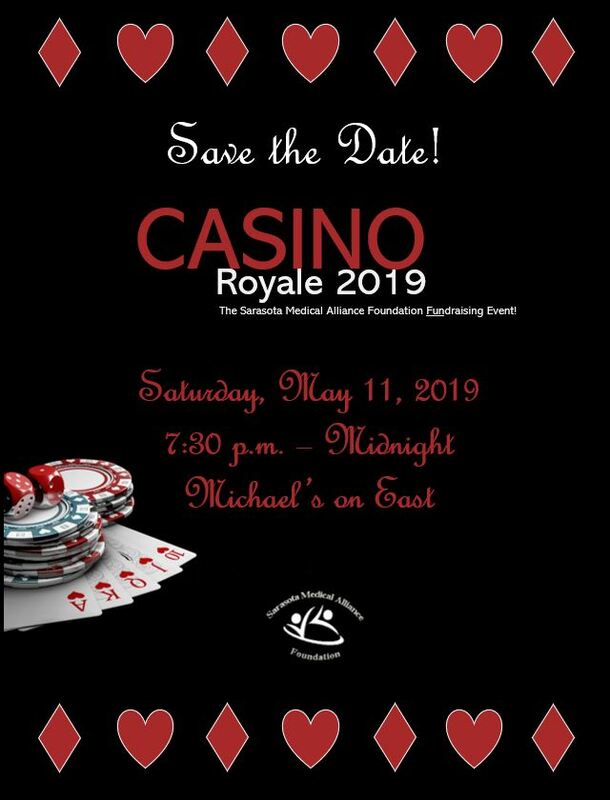 Join us for glamour, glitz and games, Casino Royale style. For entertainment only, play black jack and poker. Try your luck at craps or roulette. Or join in the laughter at other fun and games. Enjoy heavy hors d'oeuvres, strolling entertainers and professional photography while you network with other physician families in your community. Trade in your chips for tickets. Enter your tickets in our chance drawings where you may win one of many fabulous prizes. See our Win, Win, Win page for details on the chance drawings. And everyone wins with this evening of camaraderie that supports health related causes in Sarasota County. PLEASE NOTE: Physicians, physician spouses and partners are invited to attend. Proceeds from our foundation fundraisers benefit Sarasota Medical Alliance Foundation projects and partnerships. 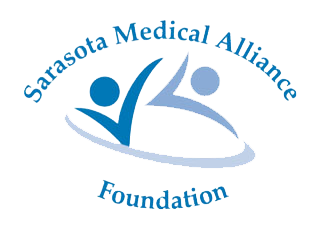 In exchange for your contribution of $300 or $165 to the Sarasota Medical Alliance Foundation that supports medical scholarships and health-related projects in Sarasota County, you will be given food and drinks with an estimated fair market value of $240 for two people or $120 for one person. *Includes online convenience fee indicated. This year’s event will be held at Michael's on East. More to come on our menu items. The above videos are for entertainment purposes only and its techniques and advice are left to viewer discretion. SCMSA and SMAF are not officially affiliated with nor endorsed by the Michael's on East, and / or YOUTUBE, its sponsors, ads or contributing content editors. Our organizations do not endorse or declare official affiliation with same. click here for galleries and photos!